Public spaces are taken for granted in a downtown area, where parks and squares are common threads in the urban fabric. When engineers of yesteryear were building cross-state highways, though, no one really thought about spaces for people to linger. Sure, Highway 40 (now The Loop) had its share of motels, services stations, and honky-tonks, but they were all private spaces designed for people who arrived in automobiles. Cosmo Park can serve as our very own Central Park, but we still need other public spaces along the length of the corridor. 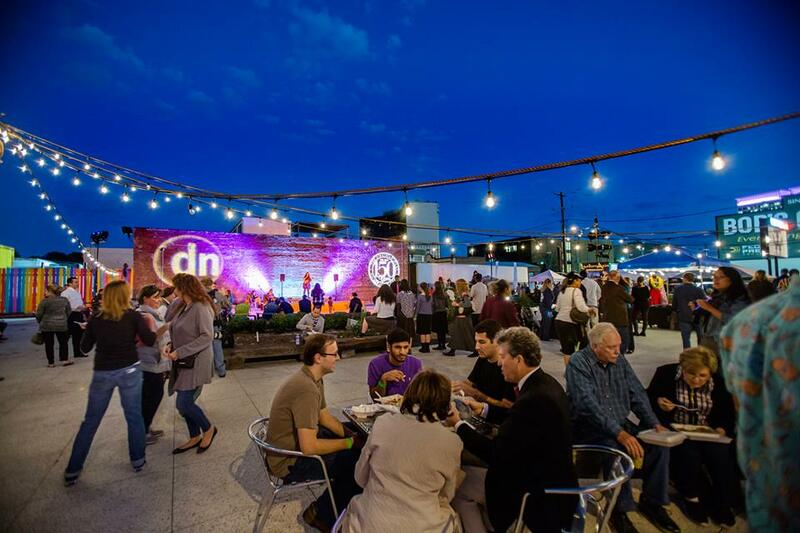 If we truly want to revitalize the Business Loop and make it a place everyone feels welcome, we need to find some creative solutions to carving out public space for the community. 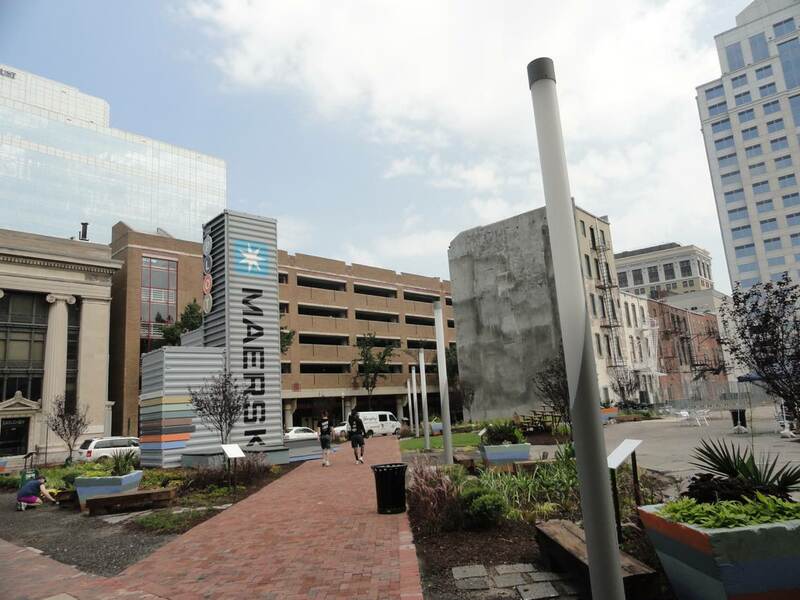 A number of cities are forgoing the traditional courthouse squares or urban parks and creating new, creative gathering places. One increasingly common option is pop-up parks — temporary public spaces created to activate vacant lots or unused parking areas. The Plot, in Norfolk, Virginia, is a great example of this. When a development project in a key area of downtown fell through, hundreds of volunteers stepped up to raise money, build paths, and plant flowers on the dirt lot. The result was a temporary park with seating, a small stage, and free Wi-Fi. Downtowners immediately began gathering there to eat lunch or meet friends after work. The project was so successful in bringing attention to the space that the land was purchased for a hotel. No worries though — the volunteers simply packed up the chairs and the stage and moved it all to a new location. Other cities are letting the public space take the lead in the planning process, rather than treating it as an afterthought. 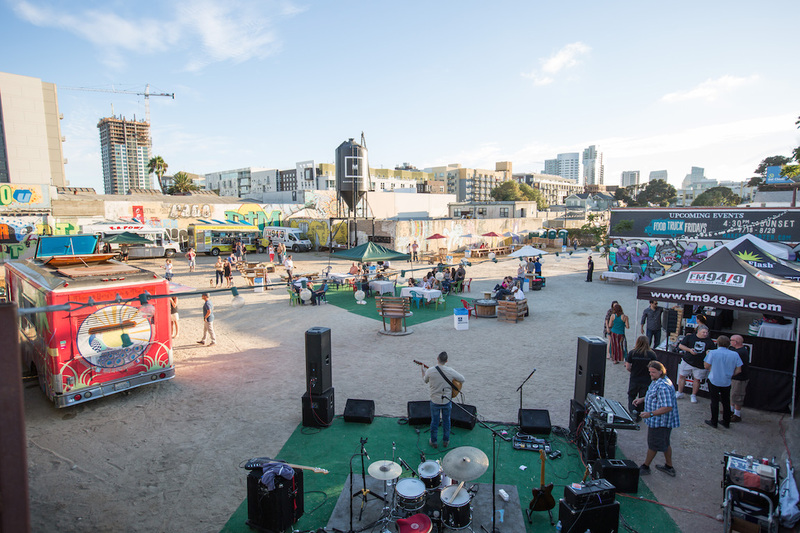 Makers Quarter in San Diego took a “pre-development” approach where, with just a touch of chutzpah, they built a public gathering spacebefore any of the area’s proposed development projects were off the ground. The Silo, at Makers Quarter, is a gravel lot enlivened by graffiti-inspired murals and presided over by an old water tower. Picnic tables and a few strings of lights round out the amenities. 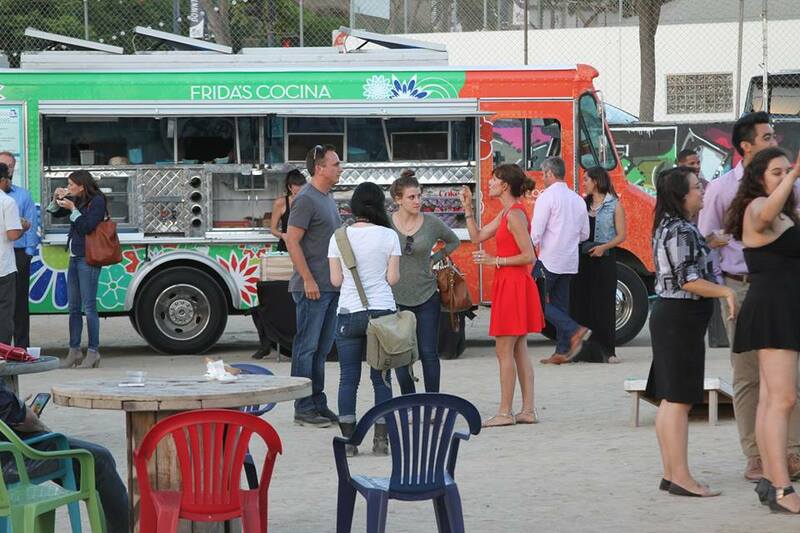 Food trucks, beer tastings, live music, and outdoor movies draw crowds to the area despite the lack of traditional restaurant and retail options. 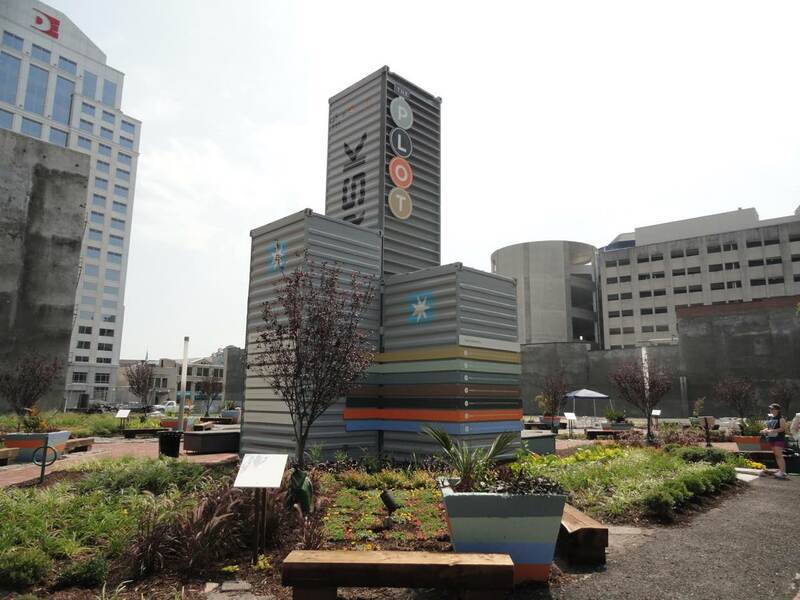 Not only does The Silo draw attention to the area, but it also helps developers figure out what people want the area to become — people are voting with their feet. We have plenty of underutilized space here on The Loop, and we certainly want to create more room for restaurants, retailers, offices, and even artisan industries. Along the way, though, we’ll be sure to set aside some space for the public that’s creative, engaging, and, of course, welcoming. We want you to be a part of this process. We’re hosting meetings, taking surveys, and posting our ideas online because we want a public space that is truly public. Visit our website at www.theloopcomo.com for more information and follow us on www.facebook.com/theloopcomo to join in the conversation.